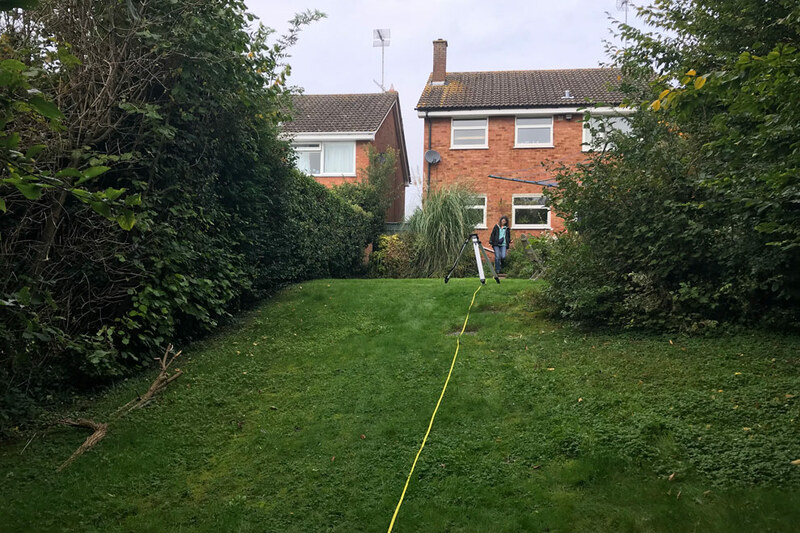 This garden was in a terrible state, was extremely overgrown and had a massive slope from top to bottom. 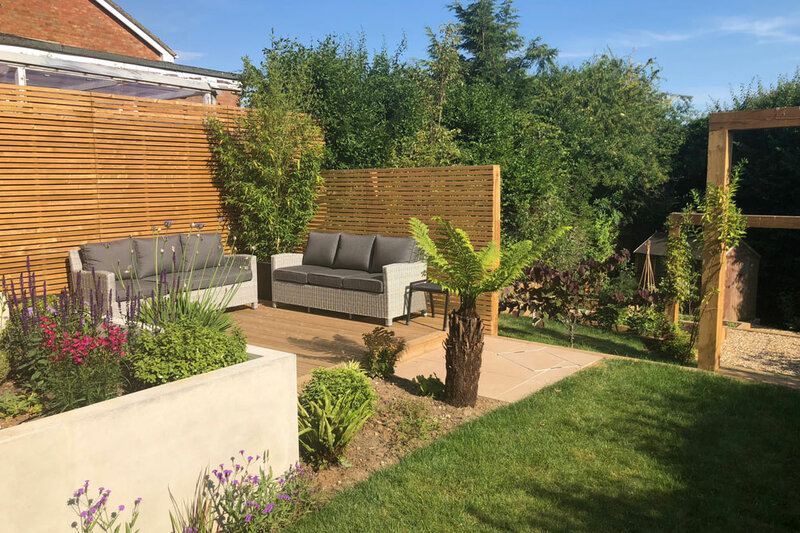 The client wanted to make the garden useable, which meant it needed to be terraced. We designed a top large patio with enough space for a dining table and chairs and plenty of room for sunbeds. 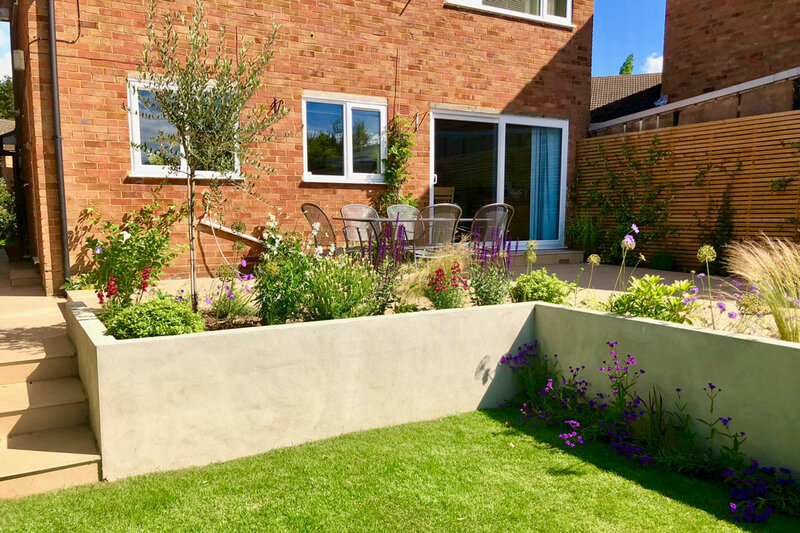 Surrounded by a rendered retaining wall painted in soft grey, the lawn was accessed via one set of steps, with a second set leading down to a decked relaxed seating area, which has been furnished with outdoor sofas. The garden then carries on down through two chunky, large arches with sleepers set into the grass, acting as steps. 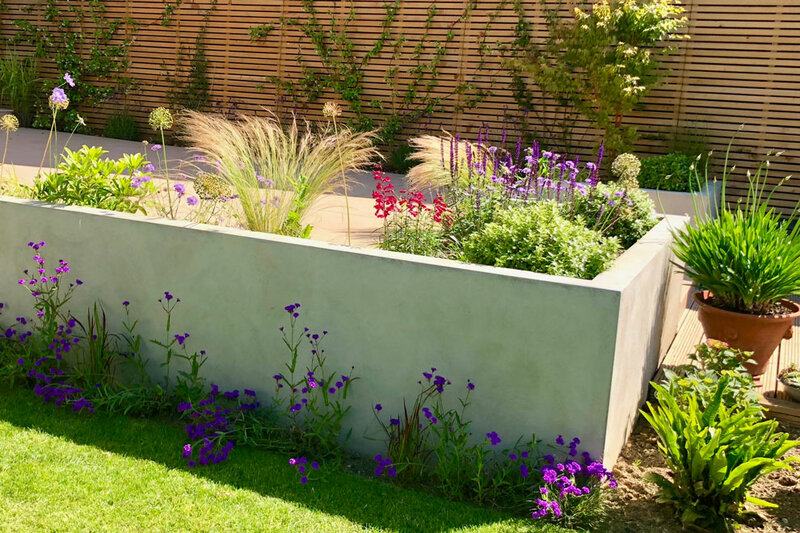 Beyond this is a large vegetable garden constructed form sleepers, some of which are incorporated into the garden as retaining walls. At the bottom of the garden an existing shed remains with additional planting which is clearly visible from the house. 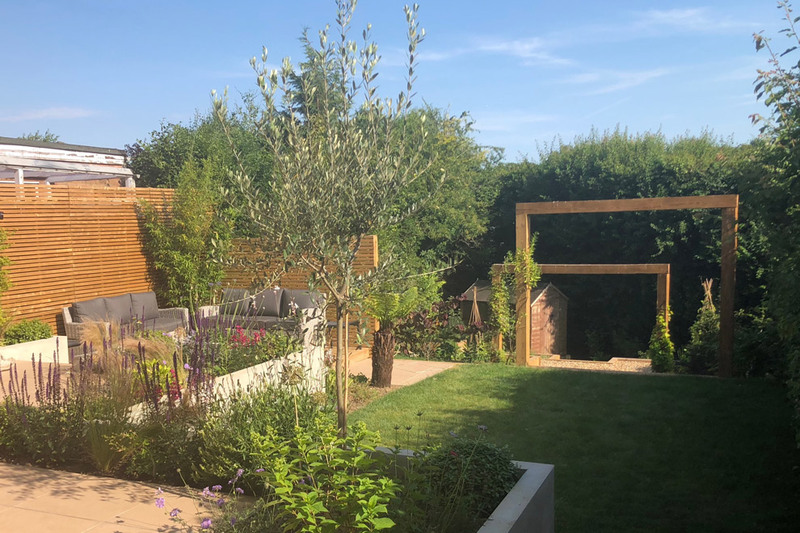 The garden feels very contemporary due to the choice of paving, laying pattern of the slabs, the rendered walls, and the horizontal strip fencing, which helps to disguise an unattractive lean-to next door. 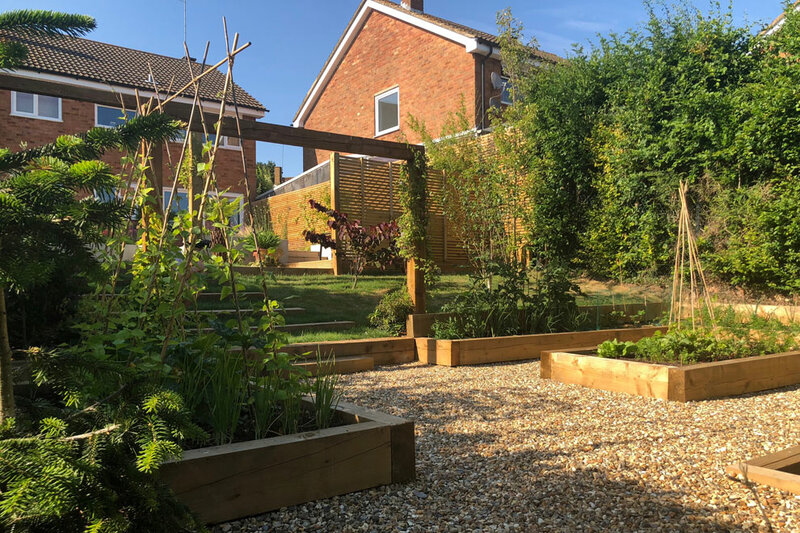 The result is a totally useable garden from top to bottom and one we are incredibly proud of.